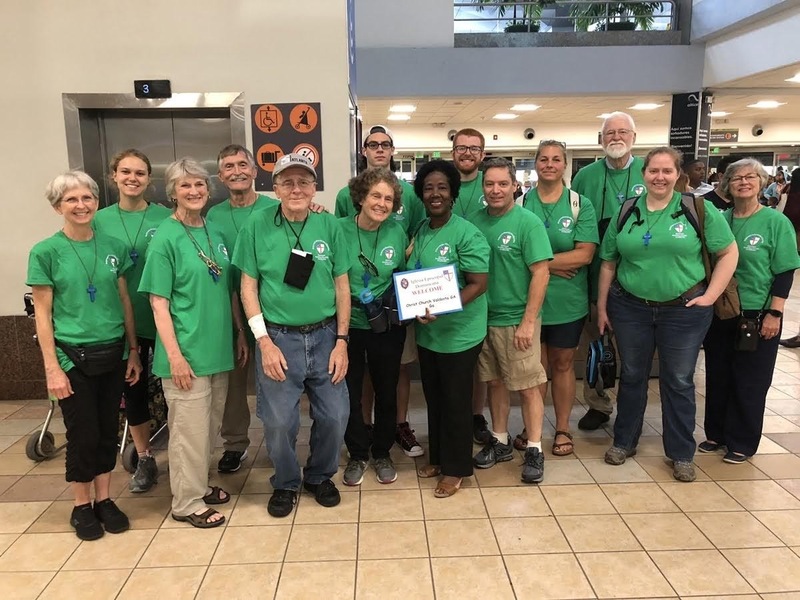 The members of the 2018 mission team soon after arrival in Santo Domingo on June 23. Christ Church has a long-standing program to sponsor mission trips to the Episcopal Diocese of the Dominican Republic. This mission trip program is one of the many ministries of Christ Church. If you would like to receive email updates about our Dominican Republic mission trips, click here. 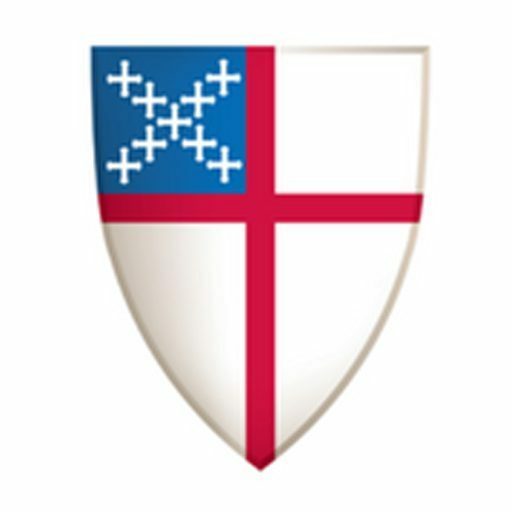 This online sign-up form also has an option to receive general email messages about Christ Church. The most recent trip took place between June 23-30, 2018. The following after-action documents are available: trip summary report | daily diary | comprehensive photo album | highlights photo album To see the planning page for the 2018 trip, click here. For the report from the 2017 trip, click here. For the 2017 photograph album, click here. The camp of the Diocese of the Dominican Republic, Campamento Monte de la Transfiguratión (Camp of the Mount of the Transfiguration), is located in El Pedregal near the city of Jarabacoa, and the facilities to support mission teams are similar to our diocesan camp and conference center at Honey Creek. Campamento Monte de la Transfiguratión has dormitories and separate “motel” style rooms to house approximately 150 people, and there are an on-site kitchen, dining room, meeting rooms, and recreation areas. On the grounds of the camp are an Episcopal church and a church-sponsored K-8 school. Mission teams from Christ Church have been instrumental in the construction of the church and the school, in supporting scholarships for students to attend the school, and in the improvement of facilities at the camp and in the village over the past years. For a Google Map of the Dominican Republic centered on Jarabacoa, the city closest to El Pedregal, check here. At Christ Church, mission team members are responsible for paying for their own travel and housing expenses and for the cost of construction materials and other supplies that are obtained in the Dominican Republic. In 2018, this cost was approximately $1,650 per person. The mission team members have raised funds to support other mission trip costs such as scholarships at the local Episcopal school, knitting supplies such as needles and yarn, and Vacation Bible school materials through contributions from the Christ Church budget, other churches, individual supporters, and the proceeds of an annual Auction and Dinner. The individual supporters are known as the “Home Team,” and their contributions are vital to the success of the work of the missioners on the “Go Team.” For more information, contact Julia Ariail or Julius Ariail. Members of Christ Episcopal Church first visited El Pedregal in 2001, and mission trips there have continued almost annually since then. The Diocese of Georgia and the Diocese of the Dominican Republic have established a “companion diocese” relationship, and Bishop Benhase spoke at their diocesan convention in 2010, soon after his consecration as the 10th Bishop of Georgia. Our former assistant rector, the Rev. Tar Drazdowski, represented the Diocese of Georgia at the Dominican conventions and served as our diocese’s representative on the board of the Dominican Development Group, a US-based non-profit foundation that works to generate financial support for the programs and facilities of the Episcopal Church in the Dominican Republic. Currently, Julia and Julius Ariail serve on the DDG board, and they also volunteer as the editors of the DDG website, newsletter, and social media sites. For the web page of the Diocese of Georgia’s Companion Diocese Commission with links to mission trip reports from other congregations in the Diocese of Georgia, click here.